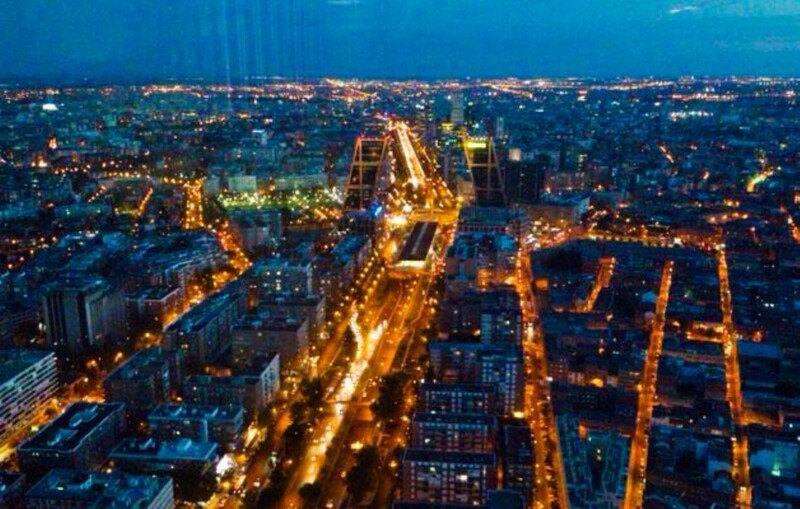 ^^ *** ^^ SPECTACULAR PENTHOUSE AT THE PASEO DE LA CASTELLANA ^ * ^^, WITH VIEWS TO ALL MADRID, NEAR METRO AND BUS, LUMINOSITY. MIDDLE FLOOR OF THE BUILDING. ZONE WITH ALL SERVICES. 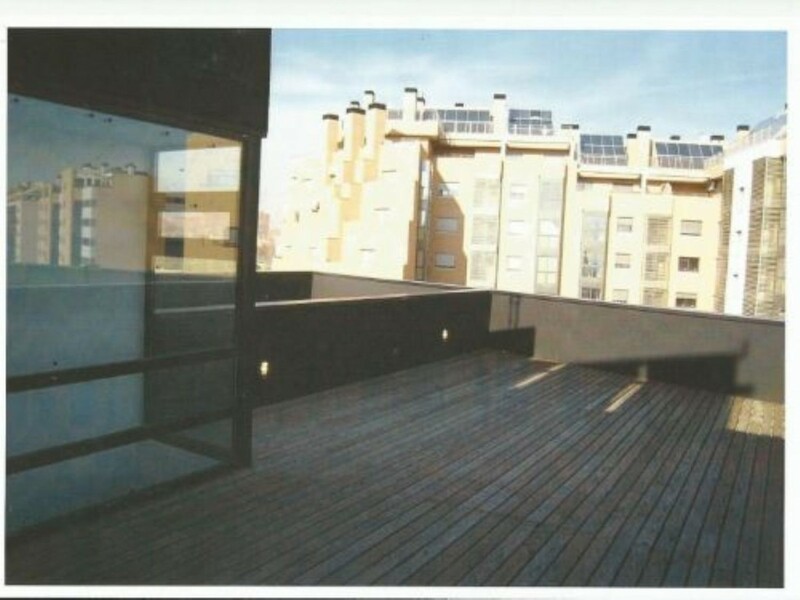 ^^^ *** ^^ Exceptional penthouse apartment, with 3 orientations, great luminosity and clear views to all Madrid and the mountains, on the Paseo de la Castellana, 173 mts built, 150 mts. 5 rooms, large living room with lots of light and great views. 3 Terraces, one with exit from the living room. 3 bathrooms. Very bright kitchen with office area. Entrance hall. Floors of platform, heating by natural gas, intercom, physical porter. 2 neighbors per floor. Main and service elevator. Near the 4 towers and Plaza Castilla and excellently connected to Bus and Metro. Community outdoor parking space. Gardens. Main entrance with disabled access and service entrance in the building. A floor with many possibilities including POSSIBILITY TO SEGREGAR IN 2 FLOORS. You can get great profitability. Area with all services, schools, supermarkets and in the future Castilian axis. Possibly one of the floors with better views of the area. You will love it for its many possibilities and excellent price. NEED REFORM. Do not miss this great opportunity. The best price of the zone. Great Penthouse with garage space on Bailen Street, 50 meters from the Royal Palace and 10 meters from the Sabatini Gardens. 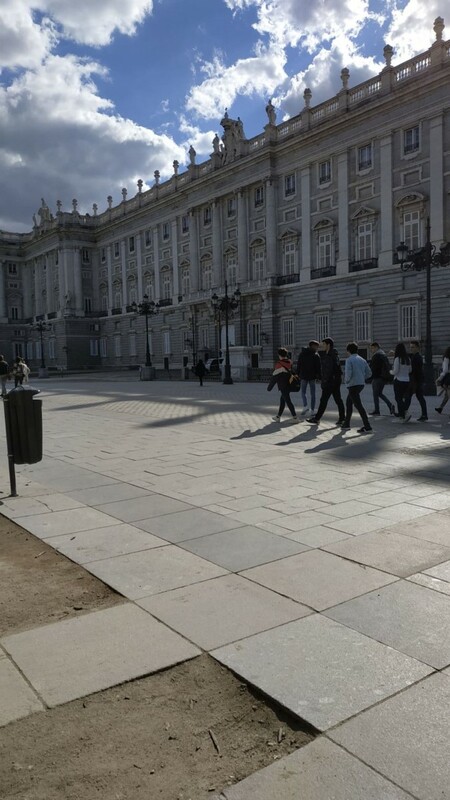 Do not miss the opportunity to live in the heart of Madrid, in the most touristy and most charming district of the Capital. Ideal for Investors who want to quickly monetize their investment or for lovers of this privileged area of the city. 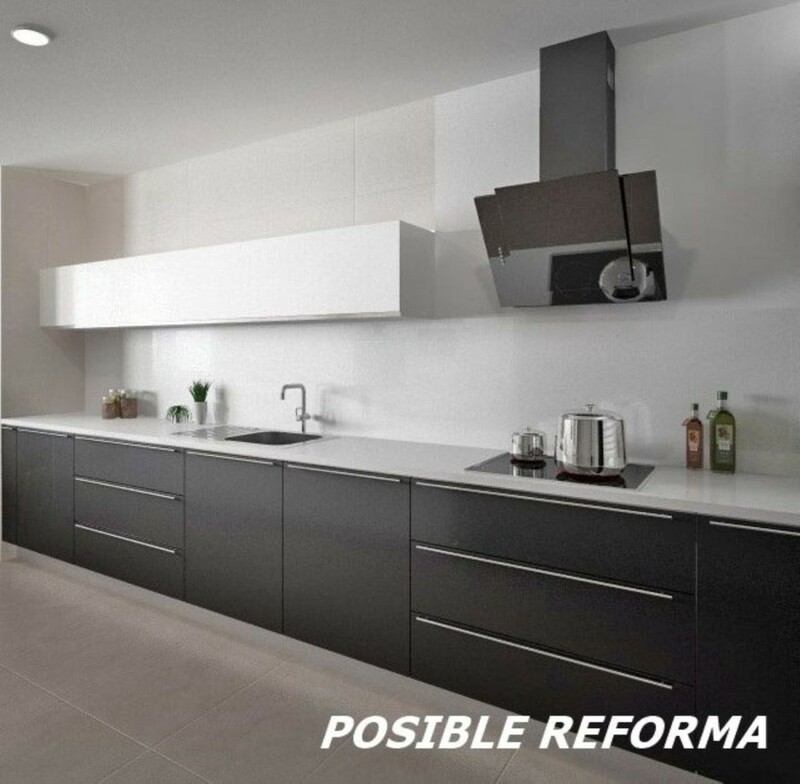 Currently it has 4 bedrooms, kitchen and bathroom, to reform and leave a dream apartment. Building and gateway to the portal protected by Patrimonio. Extras: water, air conditioning, built-in wardrobes, barbecue, hot and cold pump, fireplace, pantry, garden, laundry, bright, light, furniture, patio, t. Being interior to a large patio you will enjoy tranquility and luminosity to be the last floor of the building. Do not miss this opportunist, you would not regret it. Magnificent penthouse apartment on an eleventh floor in the best urbanization in the area. The house has four bedrooms and two bathrooms. All the rooms, with the exception of the bathrooms, are exterior, with two glazed terraces and spectacular views, completely clear. The house consists of entrance hall with built-in wardrobe from which we access the dining room, with closed terrace. From the hall, we also went to the fully equipped kitchen and on the other hand through a distributor hall we reached the four rooms, two of them with direct access to the terrace, and all with fitted wardrobes. The two bathrooms are complete, one with a shower and the other with a bathtub. The floors of the house are parquet, except in kitchen, bathrooms and terraces that are ceramic. Heating and individual hot water by natural gas. The closed urbanization with 24 hour security, has two swimming pools, sports center, children´s park and highlights the consolidated and well-kept garden. It is a bright house with South orientation. Includes a direct access garage space. Access for people with reduced mobility. 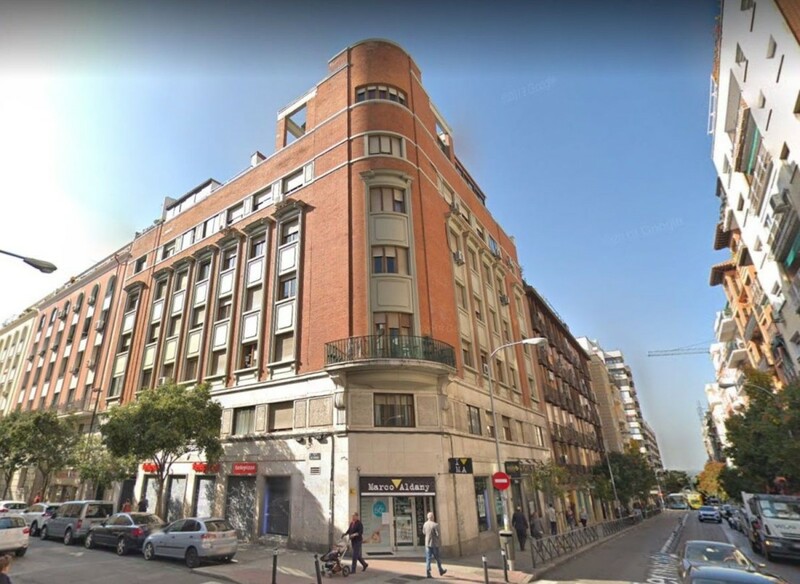 It is located near two of the most important hospitals in the Community of Madrid, La Paz and Ramón y Cajal. Next to La Castellana, the four Towers, important business center, and the M-30 access roads, Carretera de Colmenar.. . With very good combination of public transport, buses and Begoña subway. It is a very familiar house, come and see it, you will love it. Call us, without commitment. The community is € 125. 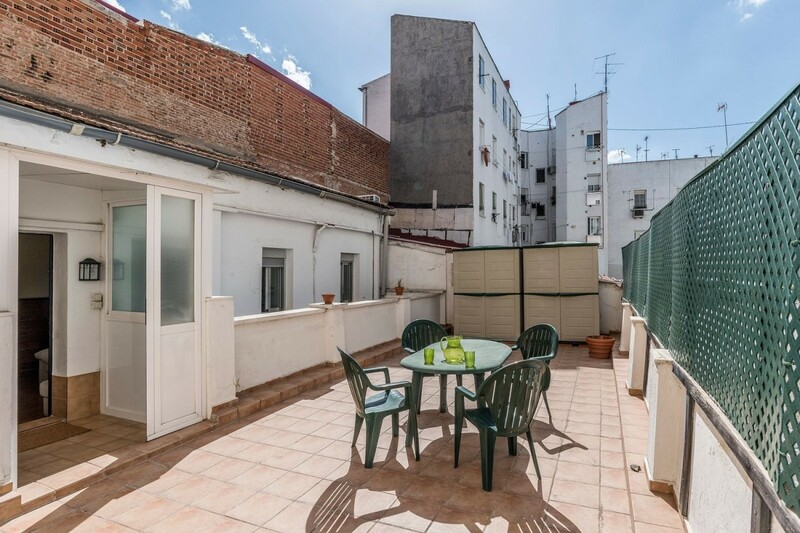 Exterior corner penthouse in Moncloa, with a light and unbeatable views. It is located a few meters from the Moncloa interchange. The building is one of the brick buildings, with a classic facade, in perfect maintenance, being one of the most representative buildings in the area. The portal of the building is at the same level of the facade or even better, made of marble and colored glass. The building also has a concierge during the day at the disposal of the owners. The apartment is very spacious to be a 1 bedroom apartment and you can also put the terrace to make another room or even 2 more. The large living room has circular windows that run around the corner of the building. SPECTACULAR PENTHOUSE (10ªPLANTA) IN PUERTA DE HIERRO-MADRID, with 5 bedrooms and 3 bathrooms, large terrace, garage and pool. 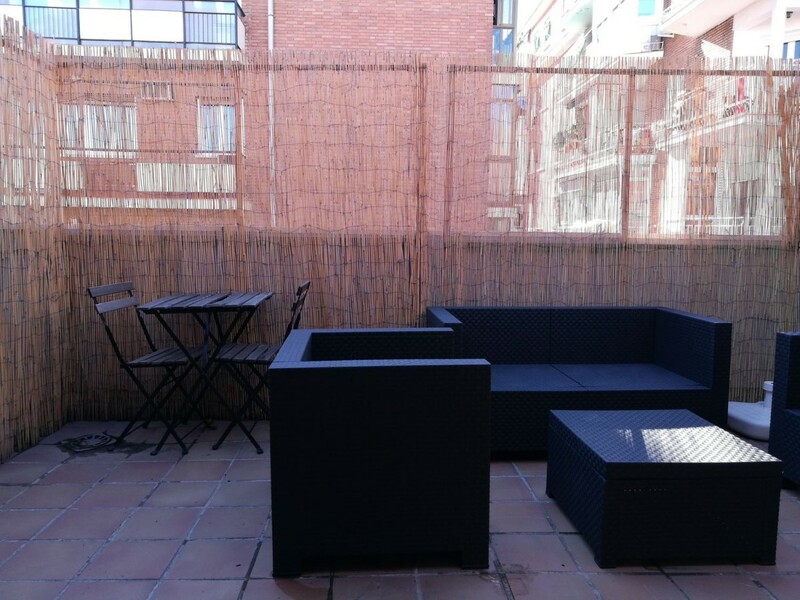 Spectacular views of the Montes del Pardo from the tenth and last floor of this penthouse that we put at your disposal, in one of the best residential areas of Madrid. Finca with garden, swimming pool and tennis court. The house consists of five bedrooms and three full bathrooms, two of them fully renovated and with shower. The master bedroom has the bathroom en suite and dressing room. The other rooms have fitted wardrobes except the one used as a living room. A spacious living room and kitchen with closed drying terrace. The whole house is exterior, which gives it a light that makes it very cheerful, completely surrounded by a terrace. With wooden floor in all rooms except kitchen, bathrooms and terrace. The doors are white lacquered. With double window in some rooms and aluminum exterior carpentry. It has heating and individual hot water by natural gas and has air conditioning in bedroom and living room. The house is sold with a double garage space, accessible from the elevator. Has a physical porter The house has many possibilities for reform, since you can integrate the terraces or part of them in the house, giving more meters to it. It is a special house, since they are two independent houses of 130 and 92 square meters built, which were united. They are sold together, but can be separated, so it has a very attractive character for investors to be segregated. It is very well connected with metro and buses at the door. Health center less than 100m, good schools, both private and public or arranged. Golf club at 50m, La Masó sports center, Tennis club La Raqueta, large green areas, parks and El Pardo at 200 meters. If you want to live in Madrid, live well without sacrificing the spaciousness of spaces and green areas. This is your house. Call us and we will show you. DUPLEX ATTIC IN SALES. In the neighborhood of Concepción next to the Metro El Carmen super floor in two heights of 59 m2. 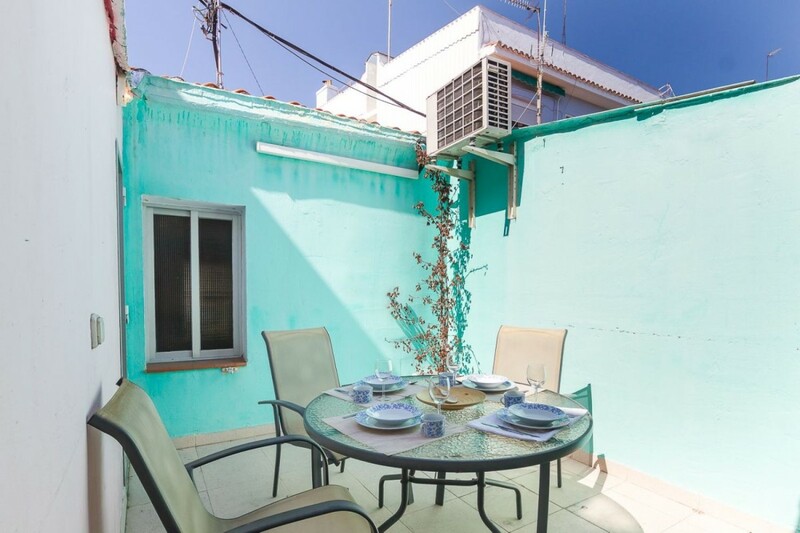 On the upper floor we find the master bedroom and a toilet, and on the lower floor we have the living room with access to a wonderful terrace of 12 m2 facing south, the kitchen with separate utility room and a bathroom. The heating and the hot water work by boiler independent of natural gas. Parquet floors and climalit windows, very good condition. Included in the price we have a large car garage and storage room all in the same building and easy to access. The farm is from 2006, very well located with metro El Carmen 200 meters and bus stop just 20 meters, easy exit to the M-30 and 10 minutes from Goya. 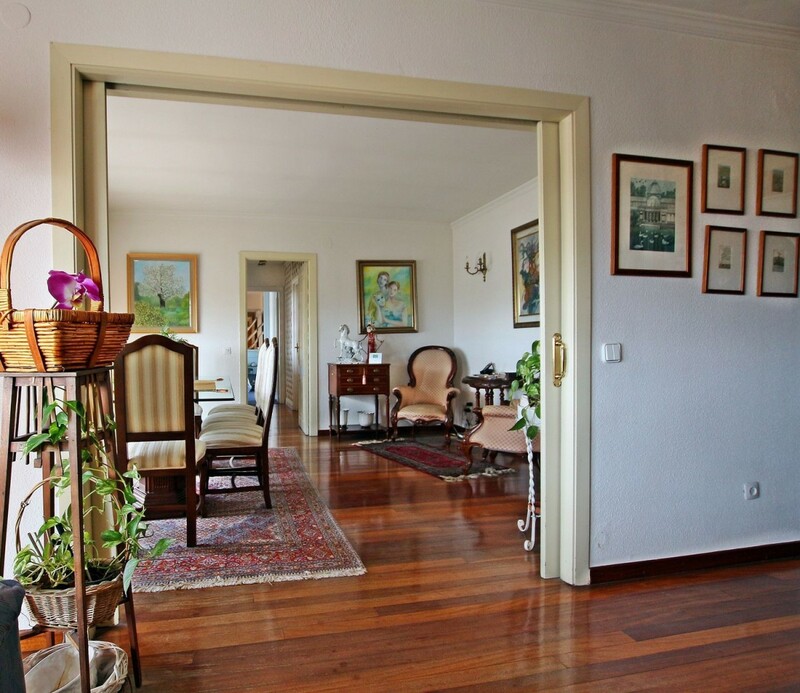 In front we have the Sales market, large shopping area, schools and gardens such as Parque Calero. Ideal as an investment. WE DO NOT CHARGE BUYERS ´FEES.